[Top 10 Strains of Cannabis for Beginners] With the medical and recreational marijuana industry coming to fruition, the strain options available to cannabis users are truly exploding! While this fills connoisseurs with a near endless stream of excitement, the array of choices can be overwhelming for beginners. 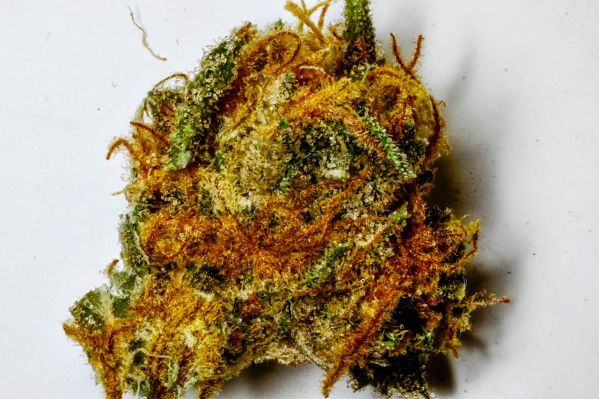 Randomly choosing a strain can have sincerely negative consequences; too powerful a strain can leave you feeling uneasy, riddled with anxiety, and generally incapable of social interactions. Adverse events like these could prevent users from exploring the rich landscape that the cannabis industry has to offer, preventing people from experiencing the medical relief and mental wonder the plant is capable of providing. This struggle was one of the primary motivations behind why we made the Strain Genie – which helps you find the perfect strain of cannabis for any occasion. 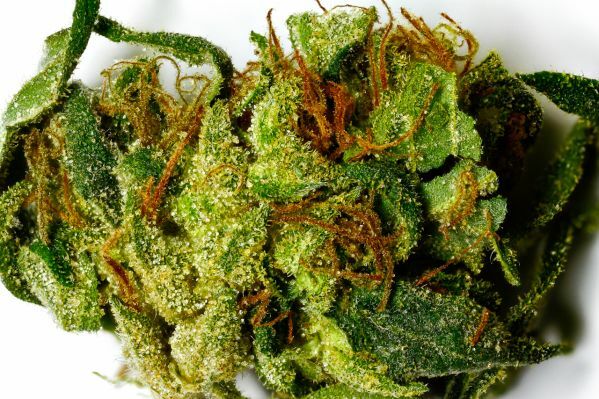 However, we wanted to put together a list of the top 10 strains of cannabis for beginners that should make your introduction to cannabis as pleasurable as is should be. As an overly simplified introduction, strains are traditionally classified as a sativa, hybrid, or indica. Sativas are thought to provide a boost of energy and are more often associated with a certain type of head high. Indicas provide a relaxing buzz that is more of a body high. 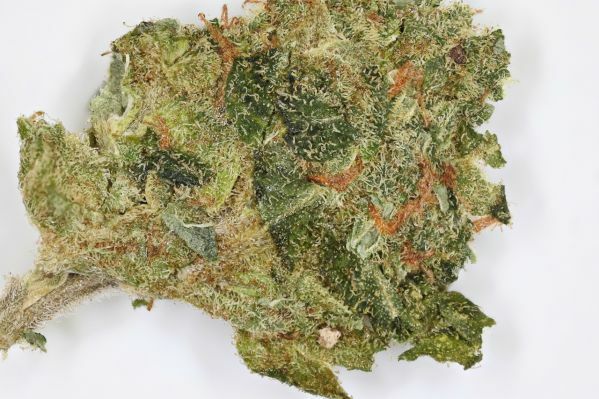 Finally, hybrids are somewhere in the middle—providing a blend of both sativa and indica effects. The classic categories of cannabis are recognized by distinctive phenotypes. For instance, sativa have thin branching leaves, whereas indica leaves are broader. Hybrids are usually somewhere in the middle. In reality, almost all strains are some sort of hybrid, yet most will lean in one direction. For example, Sativa-dominant hybrids are a popular choice. If you are completely new to the cannabis scene, the WoahStork staff would suggest trying a well-balanced hybrid. The overall experience of most hybrids will give you a taste of everything that cannabis has to offer. For some people, strong sativas can create a mind racing or anxious type of feeling that may not be desirable for all. Vice versa, potent indicas may provide too much of a “couch-lock” for a user’s first experience. What is most important is that the first timer’s session is not too overwhelming in either direction. This classic Sativa-dominant hybrid is perhaps the most popular strain on the market, with good reason. Uplifting and relaxing, Blue Dream will ease away any stress or tension you will have and also elevate your mood. The berry aroma also adds a nice treat to the mix. If the WoahStork Strain Genie could recommend one strain to first timers, it would be this one. Girl Scout Cookies is another hybrid strain that has gained popularity over the past few years. This strain is sure to leave you feeling happy and relaxed, combining the mental euphoria of a Sativa with the body relaxation of an Indiia. It’s no surprise that GSC makes it to the top of any list regarding cannabis for beginners. If you are feeling up for the challenge, start off with some Trainwreck. As the name suggests, this strain can be potent, yet is a Sativa-dominant hybrid, so it is still fairly balanced. Trainwreck is more of a sativa than Blue Dream or Girl Scout Cookies, so it will provide you with a greater sense of euphoria and energy. 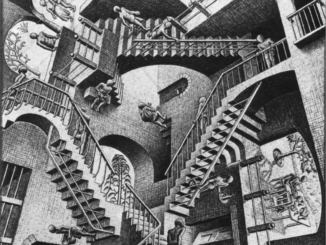 The uplifting mental activity would certainly be a great experience for a new-comer. 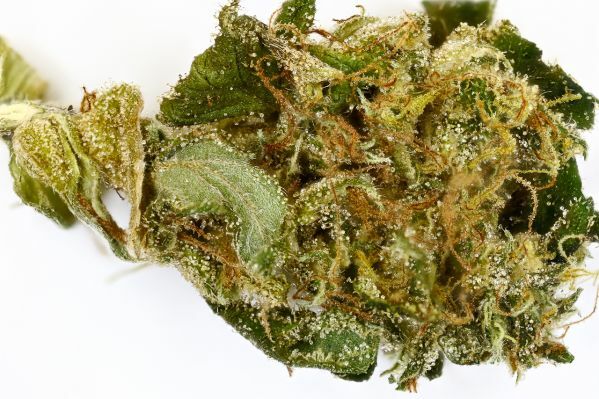 These above strains are sativa-dominant hybrids, which means they provide a mix of a relaxing body high that is not too overwhelming, yet also provide a stimulating mental euphoria that is pleasant and will elevate your mood.For those who have felt too anxious in the past or are initially nervous, we recommend trying a strain with a higher cannabidiol (CBD) percentage. THC by itself is what is hypothesized to contribute to anxiety, and CBD is a cannabinoid that combats many of the negative effects in THC. Since CBD binds to receptors throughout the body, a common misconception is that CBD strains must be indicas. Harlequin is a sativa-dominant hybrid that also contains a high CBD to THC ratio of approximately 2:1. The CBD counteracts many of the negative aspects of THC, such as anxiety, paranoia, or an onset of psychosis. While it may be difficult to find at times, The WoahStork staff highly recommend Harlequin to the novice and seasoned tokers. Cannatonic is another classic high CBD strain, which makes it great for many medicinal patients. Similar to Harlequin, Canantonic has a CBD to THC ratio: about 2:1. Cannatonic is more of a hybrid that will leave you relaxed. Since the CBD conquers many of the negative aspects of THC, it is difficult to have an unpleasant experience with this strain. If you know your personality and anticipate that you are looking for a more energetic head buzz than a body high, then we recommend trying more of a pure Sativa. While the effects of smoking these strains have a quick onset, take a puff or two and then wait 5 to 15 minutes to see how you feel. Remember, you can always take more, but you can’t take less. Cannatonic makes for an easy foray into the world of cannabis for beginners. Both Harlequin and Cannatonic are tried and true classics that every toker should try at least once. 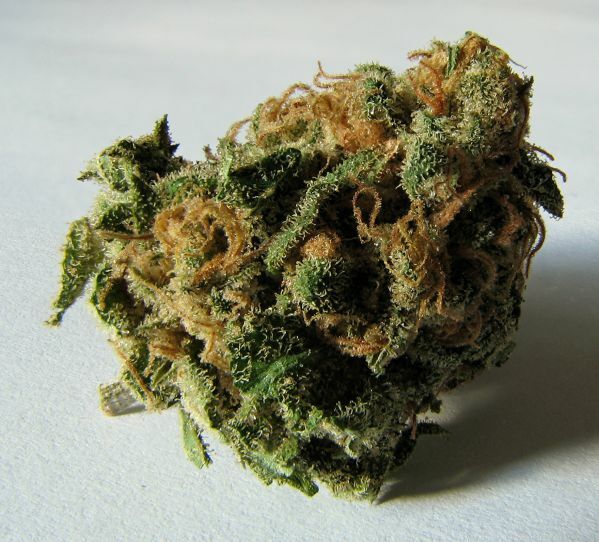 It could be argued that Sour Diesel has the most distinctive smell out of all marijuana strains. The skunky, pungent, and diesel smelling aroma is certainly intriguing. A New York City favorite, Sour D provides a stimulating and energetic mental buzz that is great for combating stress and depression. Sour Diesel is probably the most prolific strain throughout the United States. Jack Herer is named after the famous marijuana activist and author – a worthy homage. 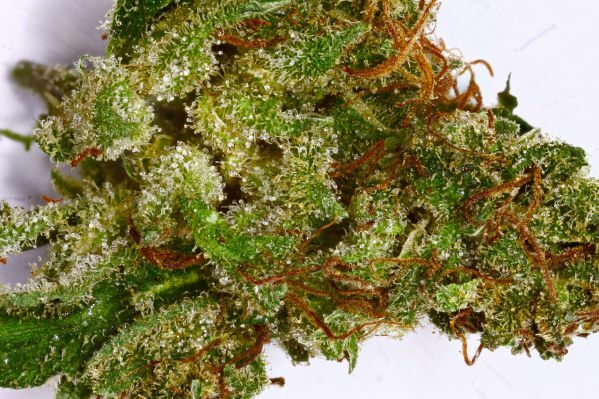 This strain will provide you with a burst of energy and will also allow for a sense of mental creativity. Your imagination will certainly wander with this strain, which makes it great for anything from artistic activities to deep philosophical conversations with friends. If you’re looking for more of a body buzz, you should familiarize yourself with a couple of indicas as well. These will provide the couch-locked and sleepy feel that many have come to love. If you are new to indicas, give one of the following strains a try. Northern Lights is sweet and spicy to the taste. Great for insomnia, this strain will get you ready for a good night of sleep. Northern Lights is also amazing for treating pain relief, as your muscles will become fully relaxed. Northern Lights is a classic that the WoahStork Strain Genie recommends to any first timer looking for a night in. Master Kush is a great strain to try because it is a mix of two landraces. When you are smoking Master Kush, you will feel like you are smoking a strain directly from the Hindu Kush region. This earthy smelling strain will leave you grounded in a state of body relaxation. This is a great strain for newcomers because it does not leave your mind too hazy, which can often be disorienting. Great for relaxing before bedtime, Skywalker will certainly provide the quintessential feel of an Indica. Its high concentration of the terpene myrcene is presumed to be what makes Skywalker so sedative. However, don’t confuse Skywalker with Skywalker-OG, which is actually a different strain that is more in the hybrid direction. Still feeling nervous about smoking marijuana for the first time? The CBD strains are probably the “safest” bet on this strain list of cannabis for beginners. WoahStork is a marijuana app that allows you to order cannabis online from nearby dispensaries. Simply upload your government issued ID and doctor’s recommendation (if you’re looking for medical marijuana), and you’ll be able to place online orders for pickup or delivery within minutes! We also have a vast database of strains for you to review, compare prices, and order online! 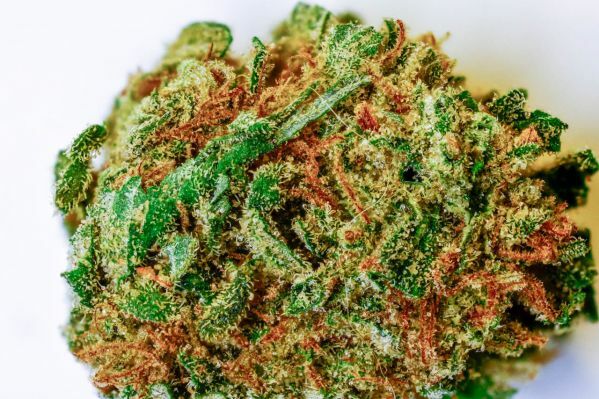 If you don’t know where to start, our Strain Genie will give you a personalized strain recommendation for any medical ailment or recreational occasion! The more you order and review, the more cannabis rewards you get – redeemable for steep discounts on cannabis from nearby dispensaries. Looking for resources aimed to help identify the right strain of cannabis for beginners? Look no further than WoahStork Strain Genie. We hear a lot of people asking “can you buy weed online legally”? 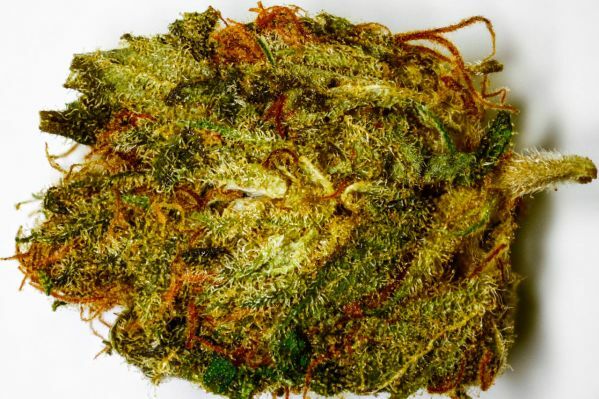 With WoahStork, you cannot only buy legal weed online, but you can buy cheap weed online! Whether you’re looking for cannabis oil, a cannabis sativa, a cannabis indica, weed brownies, marijuana seeds, or even weed tampons, you can find them at a marijuana dispensary and actually order online with WoahStork. First Time Using Cannabis? 6 Amazing Tips for Beginners! What Does 420 Mean? The Simple Truth.